Sts. 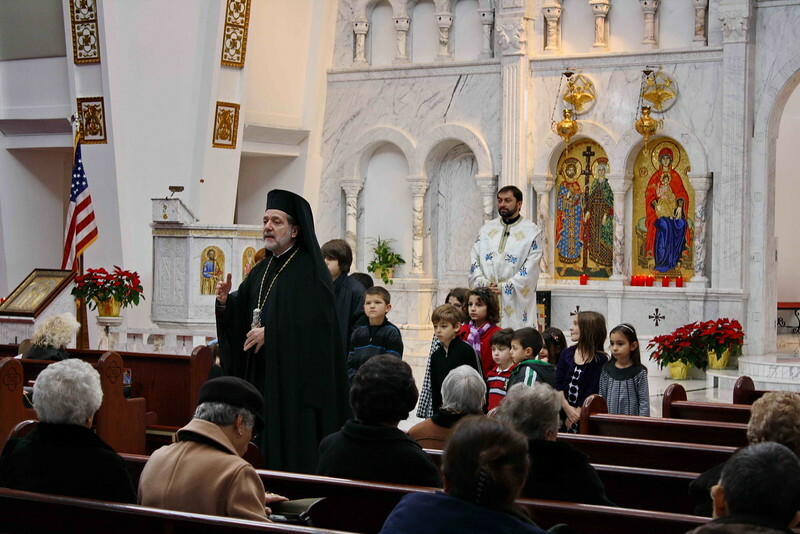 Constantine & Helen Parish Visitation | Westland, MI | 1-22-12 | Metropolitan Nicholas giving a sermon for the children; Fr. Teodor Petrutiu (Proistamenos) in the background.